In this study we investigate the environmental factors influencing butterfly communities and evaluate the Natura 2000 network’s effectiveness in representing butterfly species richness and abundance, taking as a case study the island of Cyprus. We sampled butterflies and 11 environmental factors in 60 randomly selected sites across four 500-m elevation zones, representing seven habitat types. Rural mosaics and riverine vegetation were the habitats with the highest diversity of butterflies. Within habitats, the number of flower heads was the most important factor favouring butterfly species richness and abundance and endemic butterfly richness, while soil humidity had a positive effect on species richness and abundance. Although the Natura 2000 network succeeds in including the majority of butterfly species and all Cyprian endemics, the transects sampled within the network did not support more butterfly species than those outside it, and were significantly poorer in terms of butterfly abundance and endemic butterfly species richness and abundance. We found a similar pattern for the Habitats Directive priority habitats, which held poorer overall and endemic butterfly communities than the other habitats. The effectiveness of existing protected area networks may need to be reassessed in regions such as the South East Mediterranean, to ensure that regionally important components of biological diversity are adequately protected. 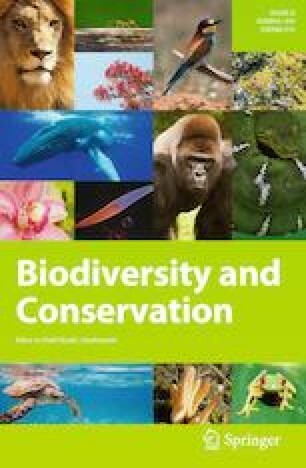 To this aim, our results suggest that new European and national policies as well as further inclusion of rural mosaics and riverine habitats in protected area networks are needed for effective butterfly conservation in Cyprus. Communicated by Kwek Yan Chong. The authors would like to thank the Department of Forests and the Department of Environment for providing information on the study area and enabling field work. Also we are thankful to George Michaelides for assistance during fieldwork and Angeliki Martinou for providing useful comments on statistical analysis. This research was funded by the Research Promotion Foundation of Cyprus (Protocol No. PENEK/0609/34), with co-funding from the European Union’s Structural Funds. See Tables 4, 5 and 6 and Fig. 3. River valleys characterized by the presence of Platanus orientalis and Alnus orientalis (92C0). Nerium oleander communities found in lower elevations along with Tamarix spp.